where every rattie's wildest dreams come true"
These are just a few examples of a very talented friend's handywork. 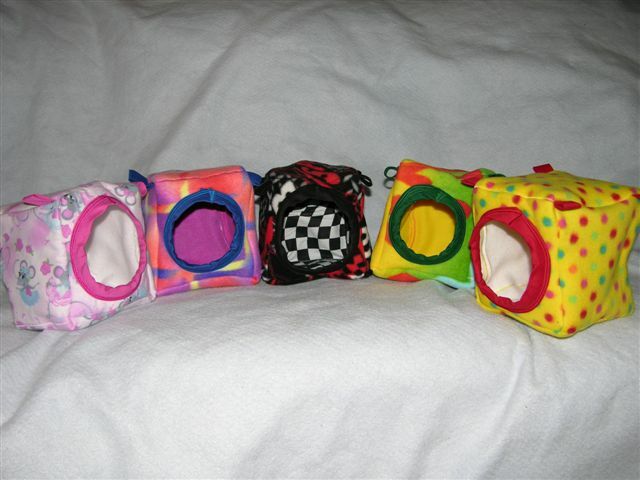 Astrid makes these durable, sturdy, comfy cubes for your darling furkids in two sizes that are standard as well as custom made sizes. 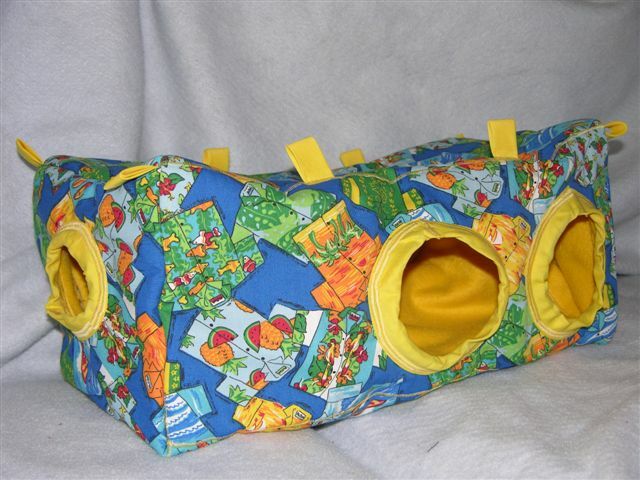 I have purchased several with several more on the way and I have got to tell you my rattie rave review..."Amazing, durable, so comfy soft, roomy, excellent quality." I have never seen anything like this made with love, delicate care and durability as Astrid has put into them. They are sold in several sizes. The two main ones are 6X6X6 with a 4 inch diameter hole for $14.00 plus shipping and handling and the 5X5X5 for $12.00 plus shipping and handling. Astrid can custom order any size with as many holes etc. and let you know the cost based on the material used, shipping and size. Astrid: "So far, people have been telling me how much they and their rats love the cubes!! One story is very funny a young woman who just got my cube has one neutered boy that lives with 3 girls. They all love the cube. The boy spends a lot of time in the cube and now the girls have to bring him food into the cube! I thought that was hilarious!"